The Bodleian Library (founded in 1602) is the main library of the University of Oxford, and one of the oldest libraries in Europe. It is the second largest library in the United Kingdom after the British Library. It is one of six legal deposit libraries for works published in the United Kingdom and under Irish Law it is entitled to request a copy of each book published in the Republic of Ireland. It has had rights of legal deposit for books since the 17th century. 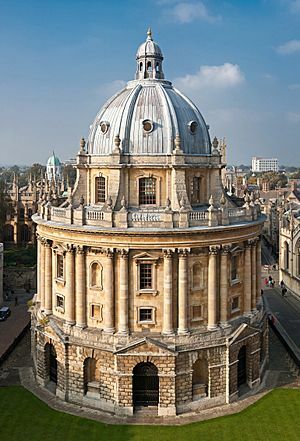 Though members of the University may borrow some books from some dependent libraries (such as the Radcliffe Science Library), the vast majority of the material held by the Bodleian may only be read within the library buildings. Besides books, periodicals and manuscripts there are smaller collections of other types of material. The Library occupies a group of five buildings near Broad Street in central Oxford: the oldest is the late medieval Duke Humfrey's Library and the newest the New Bodleian of the 1930s. Since the 19th century a number of underground stores have been built below parts of these. 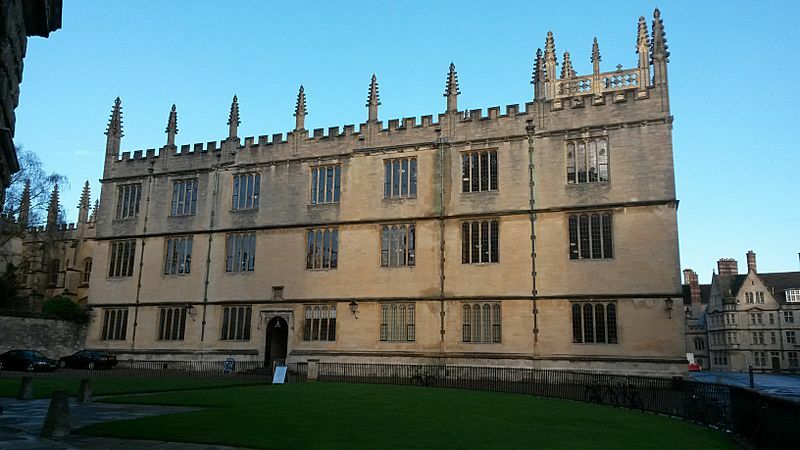 Though Duke Humfrey's Library was a library for the university from 1488 to 1560 the Bodleian itself was founded by Sir Thomas Bodley in the years 1598 to 1602. In the following centuries it greatly increased in size through collections of books donated by generous benefactors and through books received through legal deposit. Many notable scholars have been heads of the library (known as Bodley's Librarians): the present Bodley's Librarian is Sarah Thomas. 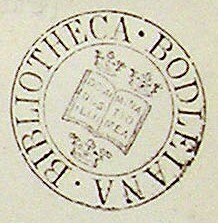 Ex libris stamp of Bodleian Library, circa. 1830. Bodleian Library Facts for Kids. Kiddle Encyclopedia.